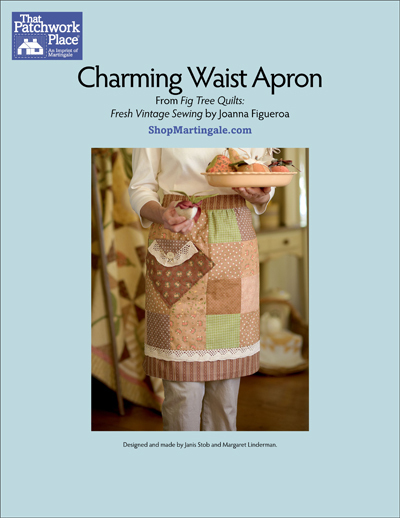 You can make this easy apron from scraps of all kinds--it's the perfect clean-up-the-sewing-room project! Coordinated charm squares also work beautifully in the simple design. Reminiscent of your grandma's kitchen, this quick project can be whipped up on a weekend afternoon. ePattern PDF purchases are non-returnable. Please contact customer service for more information. For Joanna Figueroa, quilting is the perfect combination of art and practicality. She and her team at Fig Tree and Company produce quilting and sewing patterns and have also designed numerous fabric lines for Moda Fabrics. Joanna has taught throughout the United States.